Since well before Kotaku Melodic, I've been writing about and keeping an eye on musical video games. Whenever I talk about "music games," people tend to think of the same kinds of things — plastic musical instrument peripherals and dance pads, Rock Band, Guitar Hero and Dance Dance Revolution. 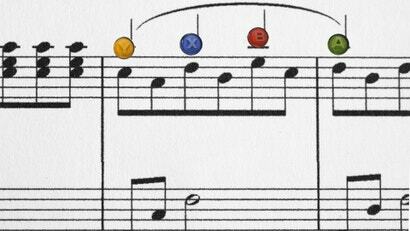 But actually, most of the music games I've been writing about are nothing like those music-game stalwarts. Game developers, especially indie developers, have become much more creative in how they've started incorporating music into their games. There's something of a movement underway, a new game design philosophy that merges video games and music in ways that are more creative, interesting, and fun than ever before. Taken separately, it'd be easy to think that these games are just the work of a bunch of game developers who each wanted to do something musical. But taken together, they show something a bit different — the rise of a new type of music game, one that removes peripherals and music "simulation" and connects players directly with the essence of music. Taken together, these games suggest developers experimenting with games as a new way to experience music. A lot of this has been about moving away from music performance simulation and towards regular video gaming. 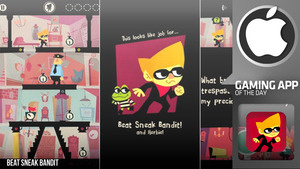 Fantastic music games like Beat Sneak Bandit and the upcoming PS Vita game Sound Shapes are less obviously music games than say, Rock Band or Karaoke Revolution. But by removing the musical packaging that accompanies an instrument or microphone, these new games feel somehow more essential and musical as a result. Bear in mind, I'm the guy who thinks that all games are music, and that some of their most fundamental aspects can be explained musically. 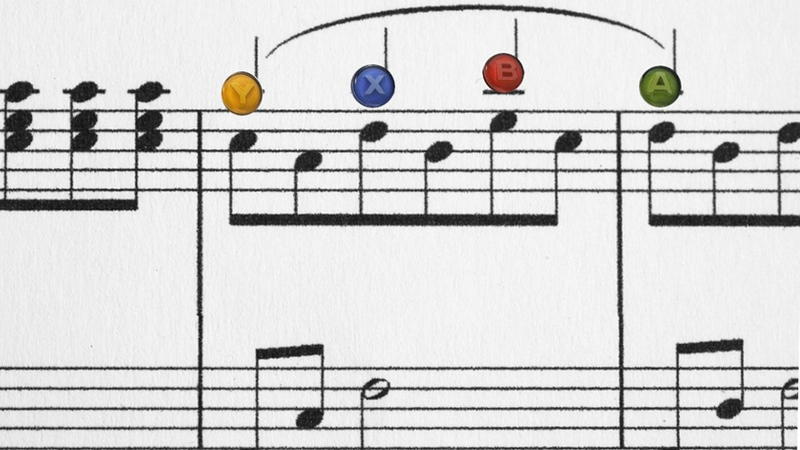 So it makes sense that games can just… be games while also being very musical. They don't need to dress it up with a plastic guitar. All they need is to provide players with creative ways to interact with music. 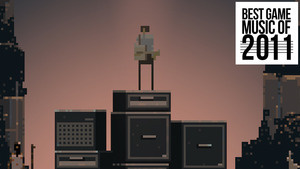 Superbrothers: Sword & Sworcery EP is in every way a music game, but it doesn't even require beat-matching or musical performance; it's more that it's an "album you can hang out in," as per the creator's intention. Games like Circadia and Dyad take non-traditional approaches to music as well, with Circadia breaking the rhythm game down to its essence (like Pulse before it), while Dyad pushes the Rez formula to new, unexpected places. FRACT essentially places players inside of a gigantic synthesiser. 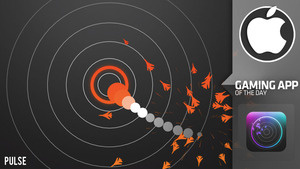 Taken together, these games suggest developers experimenting with games as a new way to experience music. More and more, composers are being brought on as creative collaborators, and their music defines many indie games' experience just as strongly as any other single aspect. I'm seeing more and more iOS games with the "Play this game with headphones!" warning up front. I'm hearing from more and more indie developers who want to talk about their new exciting musical ideas. It seems like I hear a new one every day. Music steals time. Think about it: whether you're making it or listening to it, you're devoting ticks of the watch (mental energy away from some other pursuit.) But, what you get back, hopefully, is enjoyment. It took me a long time to understand synthesizers. When I was a kid, I would often think of a synthesiser as being more or less the same thing as an electric piano — wasn't a Rhodes or a Wurlitzer basically just a synthesizer? Circadia doesn't look like much when you start it up. Even after the tutorial, all you're getting is a black screen with a white and coloured dots on it. And those are games we've covered over the past few months, for the most part. I'm sure there are plenty I've left off, and others that I've not yet heard of. Any way I look at it, one thing seems clear — we are on the eve of a new era of musical video games, and I for one can't wait to see what comes next.